It’s been a cold winter here in San Luis Obispo county. While we may not have mounds of snow in our drive ways, it’s cold enough that we’ve been turning up the heater full blast in the office. Just as you and I are looking for a warm place to get away from the cold, so are the insects. This time of year our regular customers tend to want to “skip” their pest control service because they look outside and see how cold it is and assume all the pests are frozen under rocks outside. That typically is not the case. 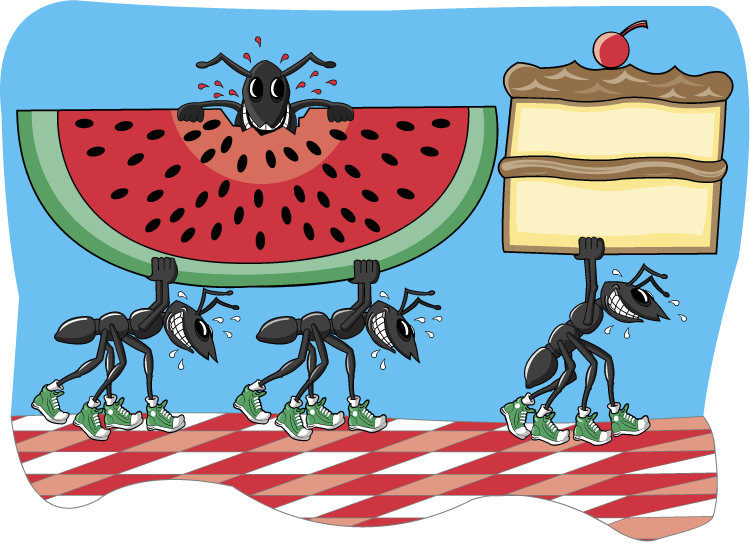 Many pests like spiders, roaches, house ants, and mice remain active throughout the year, especially in San Luis Obispo county. 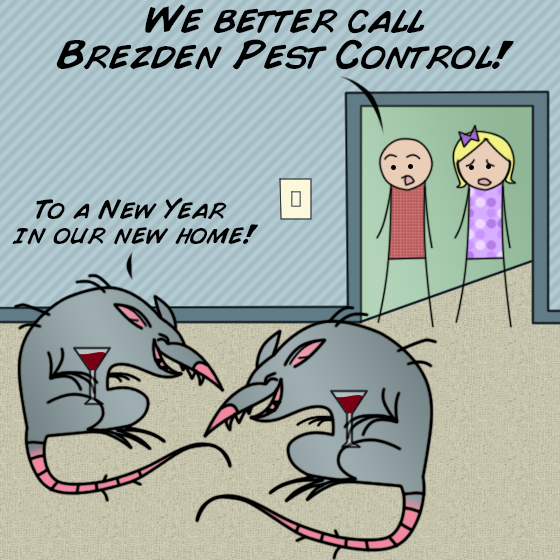 Make 2015 the year that you resolve to get serious about home pest control. Your residents, neighbors, or family will thank you. Although some problems can be taken care of by the property owner, some jobs are big enough that you need to call in a professional. Here are 5 pest control resolutions to make (and keep) in 2015. Pests survive because they are good at avoiding detection. Sometimes it takes a trained eye to see the warning signs of an infestation. 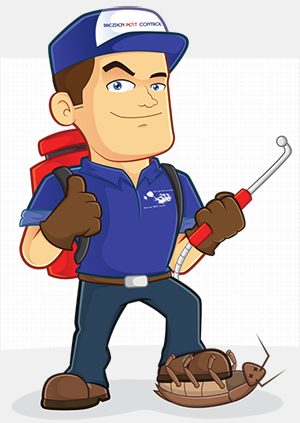 Schedule an inspection from a local pest control specialist. They will come to your property and look for the warning signs that you are, or may become, infested with some form of pests. A quality professional will talk with you about what they see and help you with preventative measures. After you get a professional inspection and extermination you want to make sure your house or business stays protected from pests. Ask your local pest control professional about a maintenance agreement that will keep your property protected in the long-term. Do you have a trashcan that you don’t always empty on time or a compost pile too close to the house? These things could be attracting unwanted pests to your property. Do you know why you should keep mulch away from your house? It’s because you want to minimize the chance that termites will find a path to your house. You should also make sure food is secure in the house. If there is food stored on the ground then rodents, especially mice, will find a way to get to it. Keep track of your own property by conducting regular pest inspections. Look for evidence of rodents or other pests. Sometimes the signs are clear, like mouse droppings in the garage. Other times the signs will be subtler. Look for smells and sounds that are out of place. Check the corners for holes in the wall. Look for material that seems to be used to make a nest. One common material that mice like to use is the insulation under crawlspace. The pest situation is different depending on where you live. Pest control that works depends on where you live and the type of pests that you can expect. Talk to your neighbors and your local professional to get acquainted with what you can expect in your region. If your neighbors are reporting rodent problems, then take steps to prepare. You can lay out traps or put down repellent as a preventative measure. 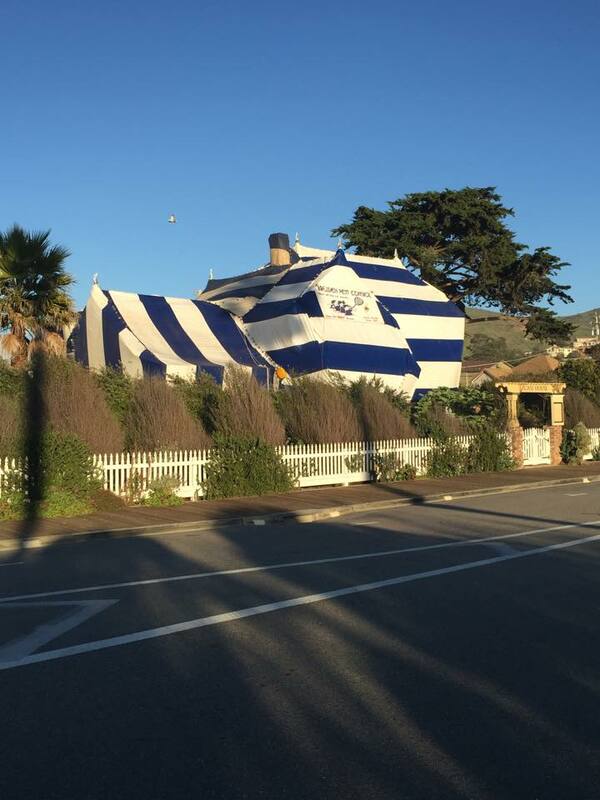 Have termites been a problem recently? If people in your area have had termite problems and gotten their house treated then termites are going to in the general vicinity of your house. These are all essential things to be aware of. When you equipped with the proper knowledge, prevention becomes easy. By implementing the 5 tips above, you’ll keep those unwanted pests out of your home. Q: How do I reduce the risk of termites? A: Termites are some of the worst pest problems that you could have. They are “silent destroyers” that can do significant damage to a house before detection. Keep standing water away from your house and use the minimum amount of mulch right next to the house. A pest control professional can also help by applying chemical treatment around your house. Ask us if this solution is right for you and remember that the best termite treatment depends on your house and the type of termites that threaten it. Q: If I am looking to buy a new home what should I look for? A: The last thing you want when you are buying a new home is an immediate pest problem. 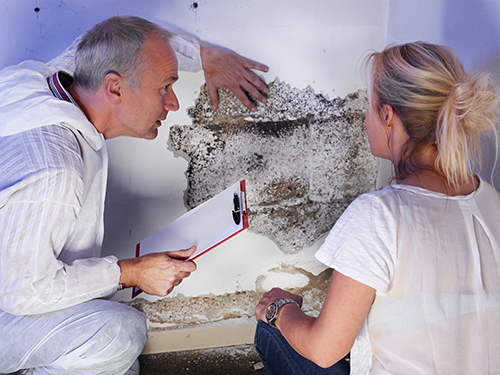 Usually the home inspector will discover the problem, but by that time you will have invested a lot of time and energy into the property. When you are scoping out the property for the first time look for signs of dead bugs around the house or mouse droppings. Look for holes and other gnaw marks in the walls. Pay extra close attention to the garage. Ask when the most recent treatments have been applied for termites. About Brezden Pest Control: We’ve been Santa Barbara’s trusted commercial and home pest control company since 1980. With over 20 years of experience, you know that you are getting the best when you trust in us. Be sure to follow us on Twitter: @BrezdenPest, like us on Faceboook and find out more about our services at https://www.brezdenpest.com. Call (805) 544-9446 to schedule a home inspection today.